Escape the daily grind and trade it in for the beach getaway of a lifetime. 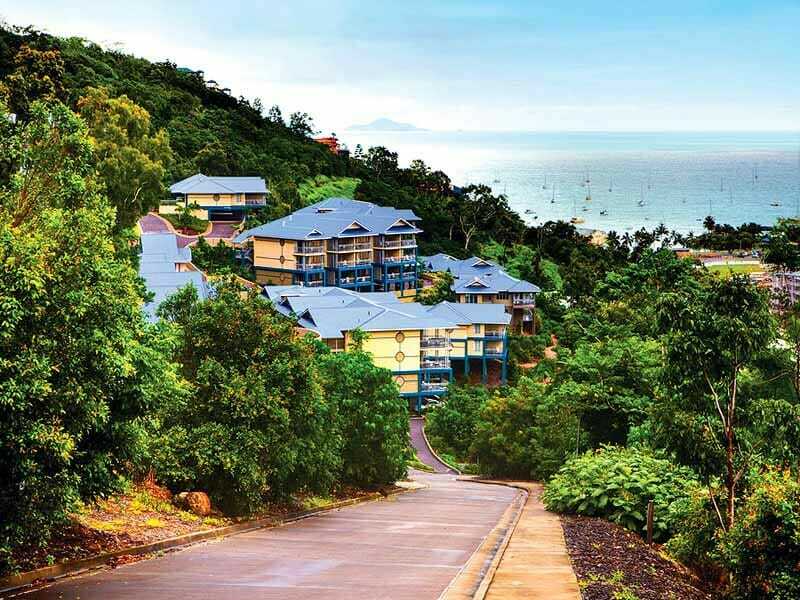 Peppers Airlie Beach Resort rests within the majestic Whitsundays Passage and offers a relaxed environment, contemporary design and world-class services to travellers seeking a slice of heaven. 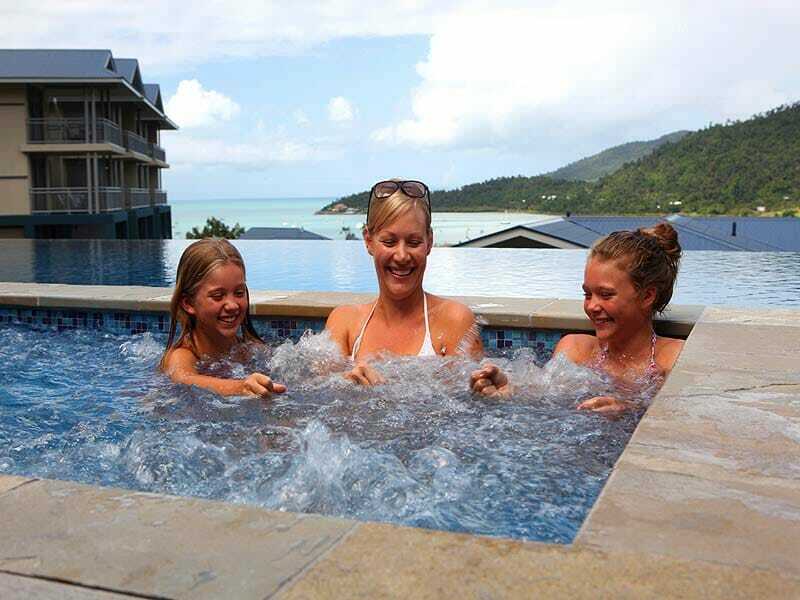 Surrounded by turquoise waters, a chic boating scene, a myriad of water sports, vibrant nightlife, eclectic mix of café’s, boutique shopping and more, Peppers Airlie Beach Resort is the ideal tropical holiday destination for families, friends and couples alike. This resort boasts tropical breezes and imposing views of the Whitsundays’ striking Coral Sea, creating ultimate serenity throughout. Each room at Peppers Airlie Beach Resort gifts guests with self-contained and spacious apartment living and large balconies to bring the outside in. With captivating vistas of the tropical surroundings, these apartments feature stylish décor, signature bedding, a deep soaking tub, minibar and advanced technology for your full convenience. Find everything you need within resort walls with a myriad of facilities on offer. Start your day at the sprawling infinity pool overlooking the glistening water below or work up a sweat at the wellness centre before indulging in fresh, ocean-to-plate seafood and Australian dishes with an Asian twist by Chef Gregory Devine at Tides Restaurant & Bar. 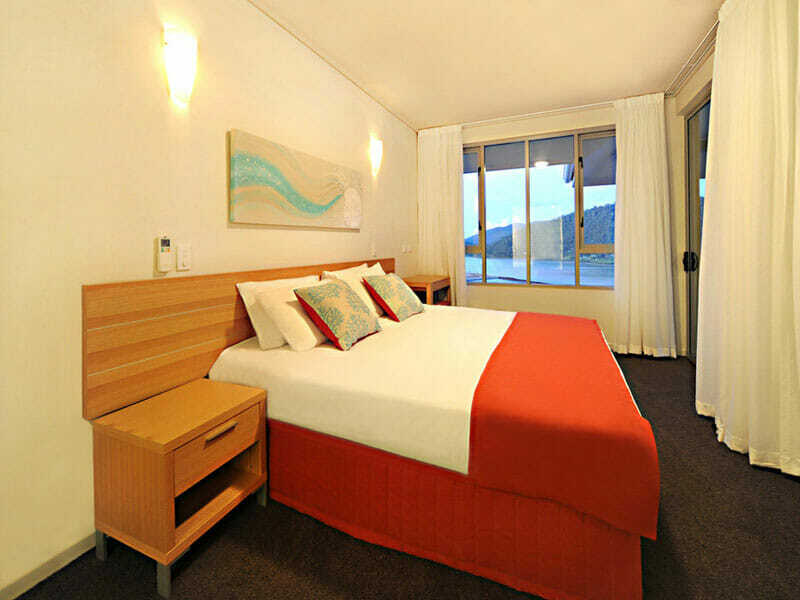 Peppers Airlie Beach Resort features wedding facilities, conference rooms, a business centre, free undercover parking, a tour desk, room service and more! 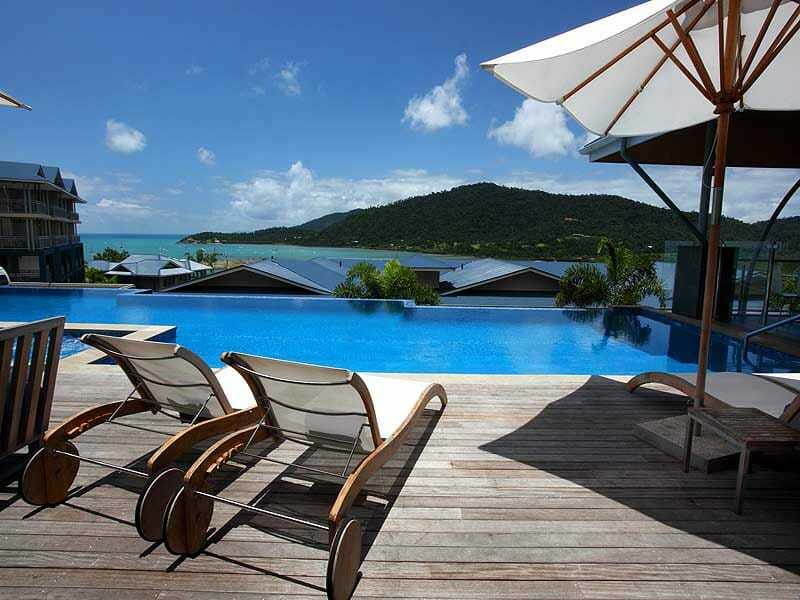 Why go to Peppers Airlie Beach? Stop and breathe in the rejuvenating sea air from the privacy of your balcony as you gaze out over the vast sheet of turquoise beyond. Chase serenity as you plunge into the rambling infinity pool before raising your heartbeat at the awesome fitness centre on-site. Foodies will delight in Asian-fusion and freshly caught seafood cuisine by revered Chef Gregory Devine at Tides Restaurant & Bar, night owls will love the myriad of bars on the resort’s doorstep, adventure-seekers can take part in epic water sports, and all will relish plush bedding and spacious living in their apartment. 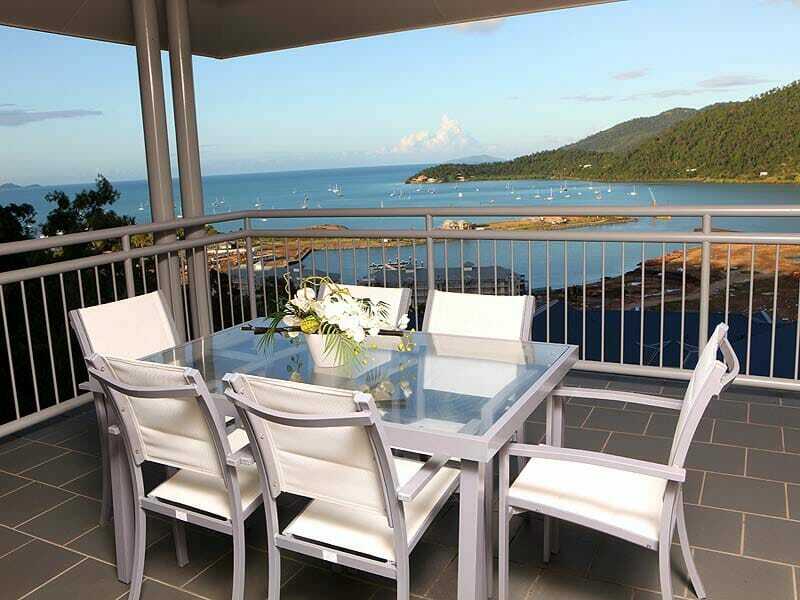 No matter what you want out of your Queensland holiday, Peppers Airlie Beach Resort is sure to not only deliver but exceed expectations. Enjoy modern furnishings and spacious living in your 1 Bedroom Spa Apartment. Feel at home with a separate lounge and dining area, fully-contained kitchen, high-speed Wi-Fi, flat-screen TV, minibar and air-conditioning. Become acquainted with tranquility from your secluded terrace or deep soaking spa bath, get cosy in your plush bathrobes, and enjoy contemporary technologies for your ease and convenience. The 1 Bedroom Spa Apartment is perfect for couples seeking romance or singles looking for luxury. Ideal for 4 guests, your 2 Bedroom Spa Apartment oozes luxury with lavish, signature bedding, cosy bathrobes, a generously-sized balcony, stylish décor and a soul-soothing spa bath. Feel at ease with Wi-Fi, air-conditioning, a fully-equipped kitchen, minibar, flat-screen TV and an iPod docking station. 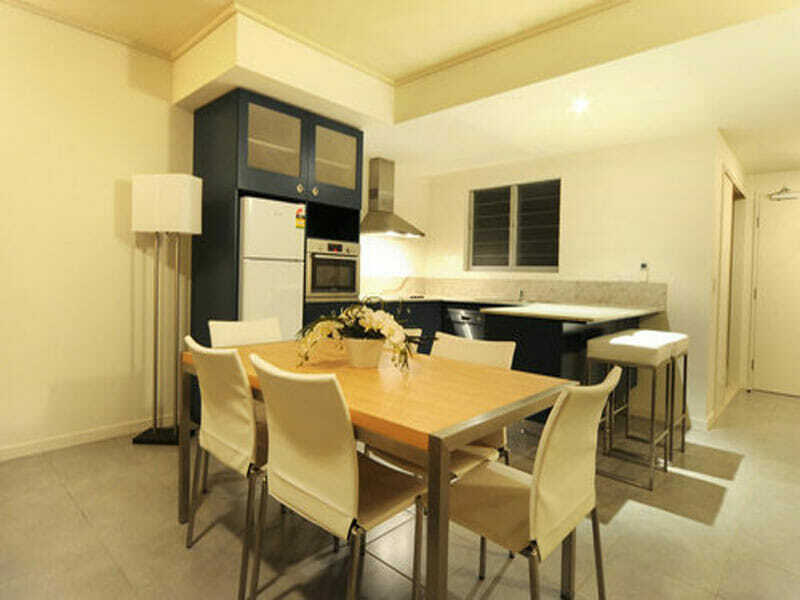 Spread out and make use of the separate lounge and dining room as well as the fully-equipped kitchen. Want for nothing in your 2 Bedroom Spa Apartment. Designed to mimic the lush, tropical surroundings, your 3 Bedroom Apartment boasts chic timber décor and brings the outside in with fully-retractable doors and expansive balcony. Feel comfortable in dreamy King, Queen and Twin bedding and enjoy privacy with en-suites attached to each bedroom. Soak away your stress in the grand spa bath, rug-up in your plush bathrobe, recline in front of your flat-screen TV, stay connected with Wi-Fi, feel secure with an in-room safe and spread out across your separate lounge room, dining area and fully-equipped kitchen. 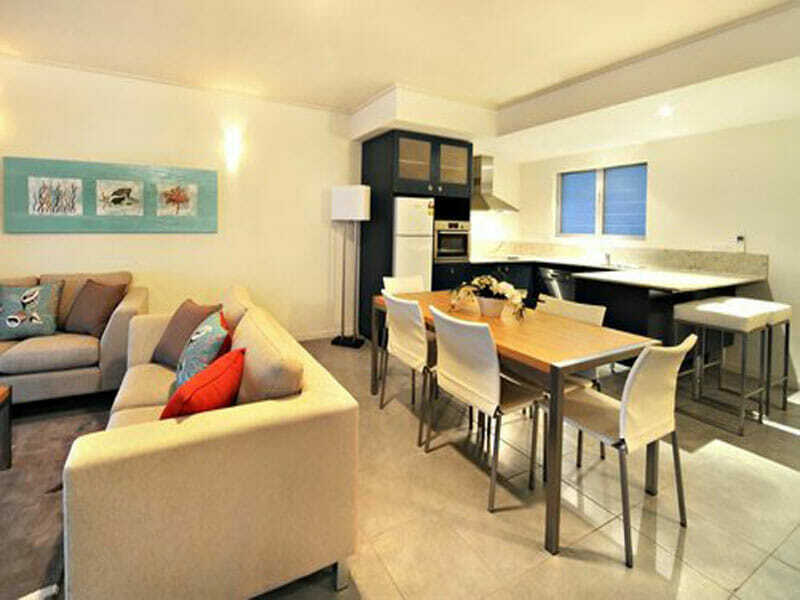 Peppers Airlie Beach Resort’s 3 Bedroom Spa Apartment is the ultimate holiday haven. Ideally positioned on the edge of the imposing Coral Sea in Tropical North Queensland’s Whitsundays, Peppers Airlie Beach Resort remains close to the vibrant cafes, bars, restaurants and shops as well as the various land and sea adventures on offer however this resort gifts guests with serenity from within property walls. Peppers Airlie Beach Resort can be accessed via plane (fly into Proserpine airport), road or ferry (if travellers are coming from Hamilton Island). Spend time by the resort’s epic infinity pool and filled your belly at the chic restaurant and bar on-site, there is much to do and see around the area. The Whitsundays Passage satisfies all with endless activities on offer. Centre yourself with an outdoor yoga class, tee off at the striking golf courses nearby, get your dose of romance with a seaside picnic at sundown, venture deep into lush rainforest or enjoy happy hour aboard an evening cruise before trialing exquisite dishes on your culinary tour. Take to the ocean for epic fishing, kayaking or snorkeling along famed reef banks. 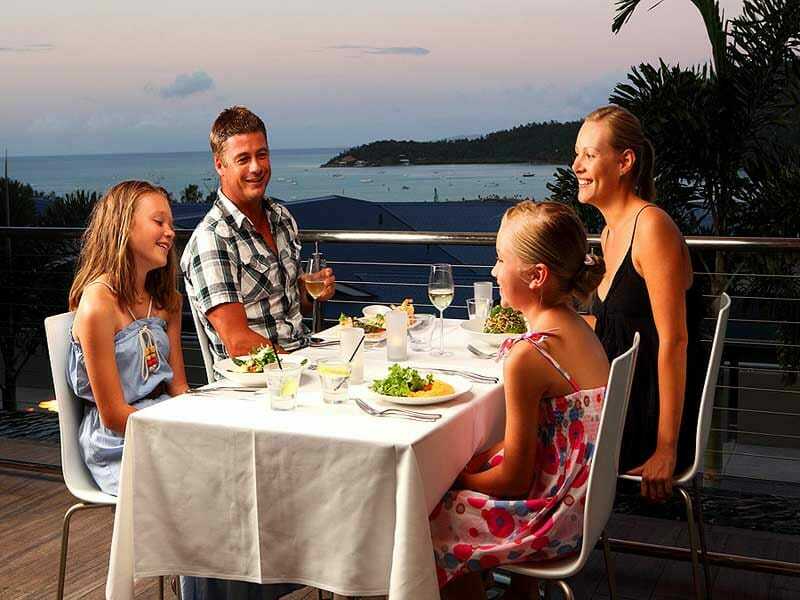 Discover all this and more when you stay at Peppers Airlie Beach Resort! An absolute world-class restaurant, brilliant service and the rooms are spacious and well-designed. The spa bath is huge and the entire property is very well-maintained. All facilities are up-to-date, clean and attractive. Finally, the views from the balcony are spectacular!